In this exclusive interview, H.E. 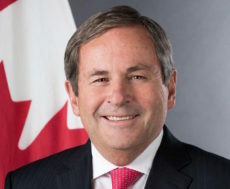 David MacNaughton talks about the critical role that he plays, as Canada’s Ambassador to it’s most important ally, during this critical time in Canada-U.S. relations. 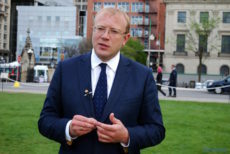 In this interview, Andrii Veselovskyi, the Consul General of Ukraine in Toronto, talks to Michele Di Leo about his career in diplomacy, and how Russian aggression in Eastern Ukraine has ramifications for Canada’s security and global stability. Michele Di Leo interviews H.E. 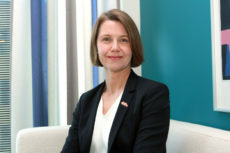 Anne Kari Hansen Ovind, Norway’s Ambassador to Canada. 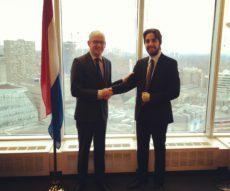 Michele Di Leo interviews the Consul General of the Kingdom of the Netherlands in Toronto, Mr. Anne van Leeuwen. 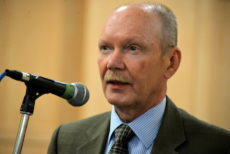 Magdalena Surma interviews the Consul General of the Kingdom of the Netherlands in Toronto, Mr. Anne van Leeuwen. 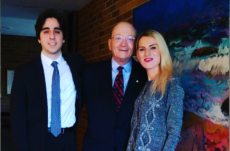 Listen as Michele Di Leo interviews the Chair of the NATO Association of Canada, Hugh Segal. 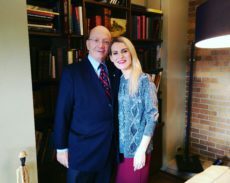 Listen as Magdalena Surma interviews Chair of the NATO Association of Canada, Hugh Segal about the significance and impact of our association. 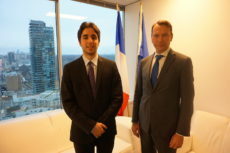 Michele Di Leo interviews Marc Trouyet, the Consul General of France in Toronto, about the most interesting aspects of his diplomatic career, as well as France’s efforts as to combat terrorism and remain an active player in the international system. H.E. 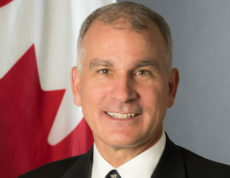 Daniel Costello, the Canadian Ambassador to the European Union, talks to Michele Di Leo about his diplomatic career, CETA, political stability in Europe, and Canada-EU relations.